Close the Festival with a bang at this second of two special programmes featuring top podcasts from across Canada presented live on the Hot Docs stage by CBC's Podcast Playlist. 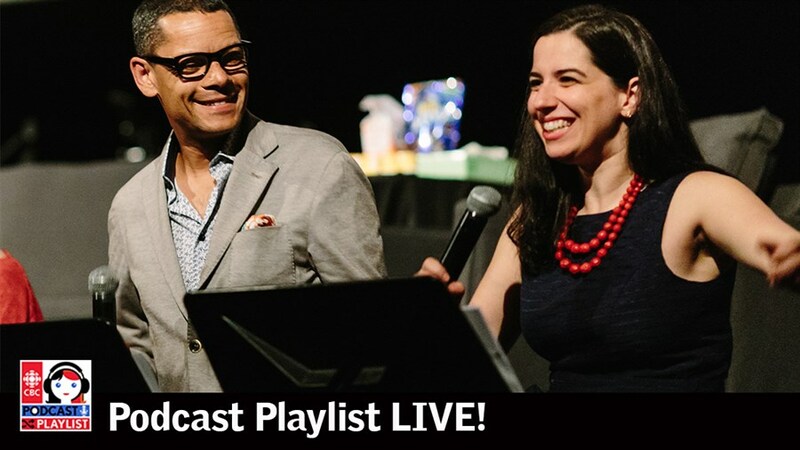 Hosted and produced by Matt Galloway and Lindsay Michael, this fun variety show-style event will feature the rich voices of storytellers from coast to coast, as well as timely and thought-provoking conversations with special guests. 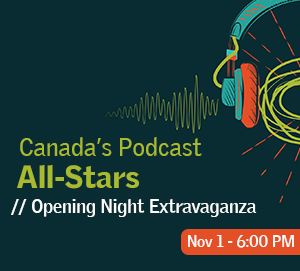 Experience the extraordinary range and diversity of Canada’s podcast talent as Matt and Lindsay emcee this thrilling showcase of audio storytelling all-stars. Join host Josh Bloch from the CBC hit podcast for a live conversation and behind-the-scenes look at their investigation into NXIVM. The hilarious and irreverent show that breaks down the stigma associated with illness and disease presents a mini episode live on stage. From the creator of The Heart, Kaitlin Prest brings us a new, live performance and an excerpt of her new fiction podcast. Cited shares stories about how research shapes our lives. Sometimes in disturbing ways. Safe Space brings you news and the big issues that sometimes gets distracted by the small issues. Join Sarah Hagi and Vicky Mochama, as they create a safe space to talk about all the things that matter and some of the things that don't. Host and former police officer Stéphane Berthomet joins us on stage for a behind-the-scenes discussion about the hit true-crime podcast from Radio-Canada.